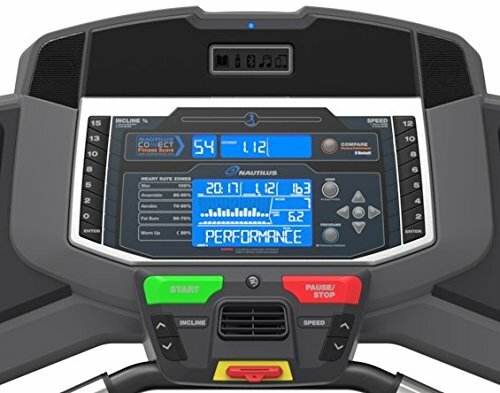 We will discuss the comparison between two treadmills from Nautilus, which are Nautilus T618 vs T616. As you may have expected, Nautilus T618 is standing at a higher price point than Nautilus T616. The higher price is supposed to bring better features and quality. So, is it worth the money, or should you just choose the more affordable model? The first thing to consider when buying a treadmill for your home is the space availability. You need to make sure that the treadmill can actually fit in the room that you have prepared. Otherwise, you won’t be able to use it, or at least it won’t be very convenient to use. See also: Nautilus U614 vs U616. In general, Nautilus T616 is less space-friendly. It is a little bit bigger than its sibling here. This treadmill model measures 57.6 inches high, 77.2 inches long, and 35.2 inches wide. Even so, the weight is actually a bit lower at 215 lbs. Note that the running path area is actually similar to that of the higher model. The running path area measures 60 inches long and 20 inches wide. On the other hand, Nautilus T618 is a bit smaller yet heavier. This model measures 57.6 inches high, 72.44 inches long, and 35.2 inches wide, with the same running path area. The weight is about 288 lbs. So, although it is noticeably heavier, it can be a better choice if the available space in your home is very limited. The next thing to consider when choosing between Nautilus T618 vs T616 is the build quality. There are some questions that you can use to help you determine what kind of treadmill that you actually need. First, are you a casual runner or an advanced, dedicated runner? Second, how often are you going to run on your treadmill? How long are you going to run in a single session? Nautilus T616 is fine for those who don’t run very frequently. The build quality is good, but it isn’t made for heavy-duty purposes. It has a two-ply belt that measures 2.0mm thick, 2.5” crowned rollers, and 6 Hex Cell Strike Zone Cushioning System. According to the specs, this model can hold a user of up to 300 lbs. Nautilus T618 is recommended for dedicated runners who run often and are able to run continuously for a long time. The build quality is better. It is equipped with a three-ply 2.5mm-thick Tyre belt, which is tough and durable. It also comes with 2.75” crowned rollers and a Rebound Cushioning System. These components allow the unit to withstand heavier impacts from your feet. According to the specs, this model can hold a user of up to 350 lbs. Nautilus T616 has decent power that makes it suitable for casual runners as well as home uses. The motor has a power rating of 3.0 CHP (continuous horse power). The speed is good, and the overall performance is smooth, stable, and consistent. In addition, this model supports a maximum incline level of 15%. Nautilus T618 is great for serious and dedicated runners. It is great for athletes who want to be able to train effectively at home. This treadmill model comes with a 3.5 CHP motor, which can provide even higher speeds. The performance is great. Thanks to the powerful motor, the treadmill can run very smoothly and consistently. The sophisticated deck cushioning also helps to enhance the stability and comfort. This model also supports a maximum incline level of 15%. Each of Nautilus T618 vs T616 comes with 26 built-in programs, which include training programs, intervals, weight management programs, heart rate programs, and custom programs which you can set specifically to suit your physical condition and purpose. Both models have built-in Bluetooth, so they can connect wirelessly to your mobile devices to sync the recorded data to your fitness apps. Nautilus T618 has an integrated towel rail and accessory bar. These features can be very handy. You don’t need to leave the treadmill when you need to use a towel. In addition, Nautilus T618’s quick keys are located on the handlebars for easy reach. Nautilus T616 does not have the towel rail or accessory bar. It also has quick-access keys for functions and features that you use the most. However, these quick-access keys are located on the console rather than the handlebars. So, they are not exactly as easy to reach. Both models are compatible with the Run Social app. This app is able to simulate a real-life location, with 19 locations and 27 routes to choose from. In addition, this app also allows users from all over the world to get connected in real-time so that you can run with other people in the same simulated location. Each of these two models has a USB port for charging your mobile device. The handlebars can track your heart rate with the built-in sensors. 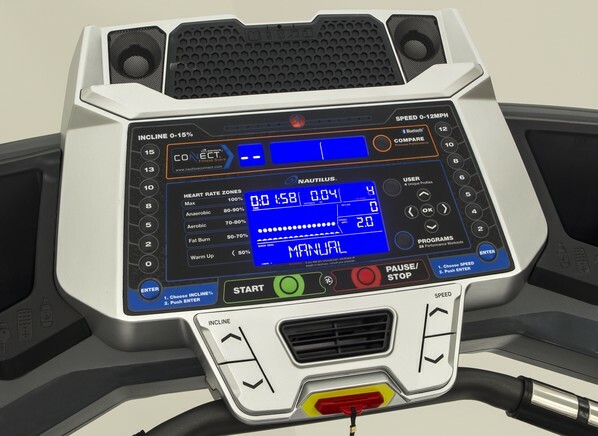 However, you can use Bluetooth to connect each treadmill to a wireless chest strap for more accurate heart rate tracking. Nautilus T618 comes with a much better warranty. The frame and motor are covered for 15 years. The mechanical and electrical parts are covered for 5 years, while the labor is covered for 2 years. This warranty shows that the build quality and durability of the treadmill is supposed to be really good. Nautilus T616 is backed by a 10-year warranty for the frame and motor. The mechanical and electrical parts are only covered for 2 years. The labor is only covered for 90 days. 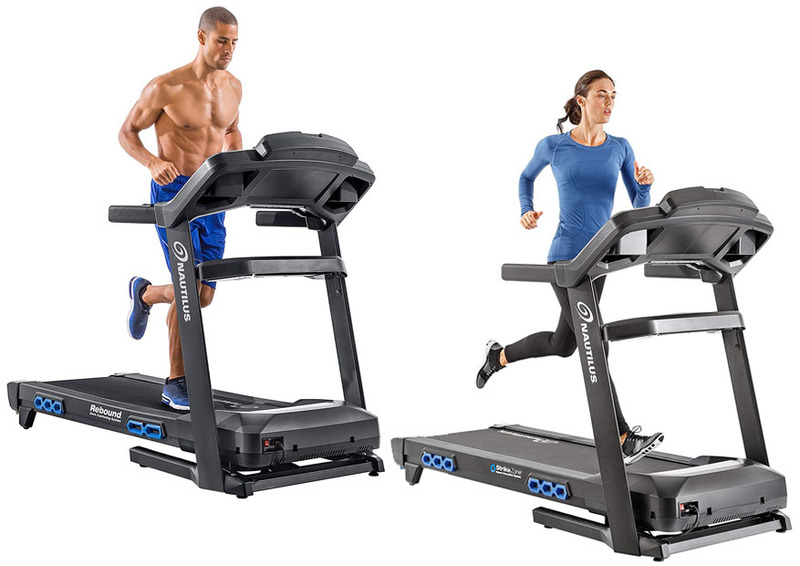 Between these two treadmills, Nautilus T618 is more recommended. This model has a better design and build quality. It also has a more powerful motor and better features. The warranty coverage is longer.